This week, President Trump addressed America's crumbling infrastructure, which is out of date and falling apart. The Obama Administration’s attempt to rebuild the country’s infrastructure was an expensive waste that saw little money actually go to the intended purpose. Billions were spent on projects that still have not been completed after years of development. 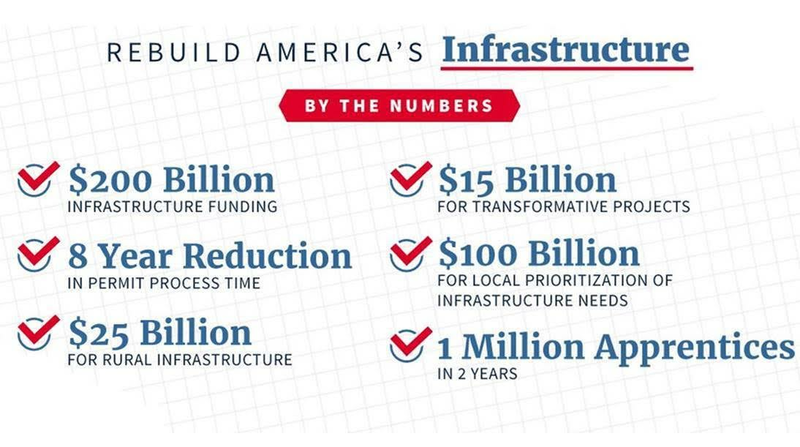 President Trump is pushing to rebuild American infrastructure by partnering with the private sector and getting government off the back of the American economy. As such, President Trump dedicated $200 billion as part of his proposed $1 trillion investment plan to rebuild infrastructure. Read more about President Trump Making America Great Again below. President Trump kicked off Infrastructure week with the announcement of his Air Traffic Control Initiative. The President proposed to shift the Federal Aviation Administration's air traffic control function as a not-for-profit, non-governmental organization. President Trump pointed out unacceptable delays, wait times, and route inefficiencies supported by our current system, costing an estimated $25 billion a year in economic output. The United States can no longer afford to lag behind in an industry that supports 1 out of every 14 American workers. 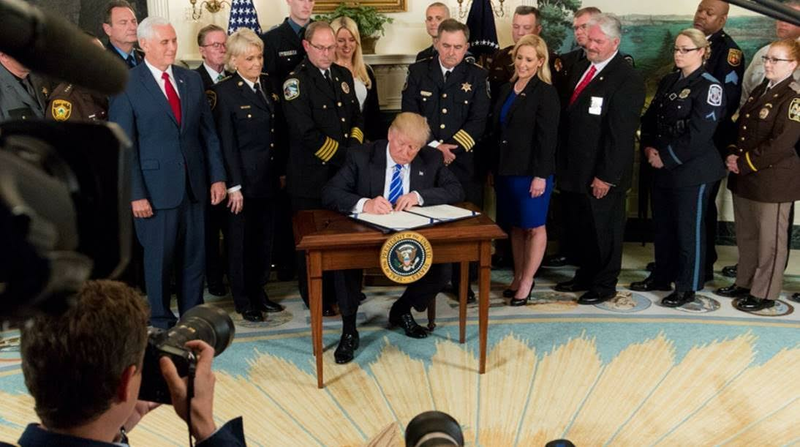 President Trump signed into law two bi-partisan bills that prioritize the hiring of veterans in law enforcement and provide survivor benefits to family members of public safety officers that are killed in the line duty. The President has reaffirmed his unbreakable support for these American heroes, who keep our streets, our homes, and our citizens safe. This week at the White House, President Donald Trump and First Lady Melania Trump hosted a reception to honor Gold Star families and those they have lost. 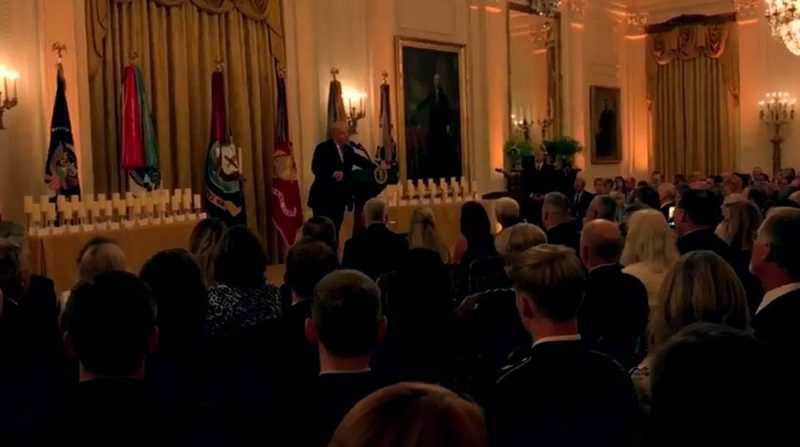 These families have endured the ultimate sacrifice on behalf of our country, and President Trump is honored to have spent the evening with them. The President and First Lady are committed to always paying tribute to our active service military, veterans, and the families who love them. We will never forget our fallen heroes. 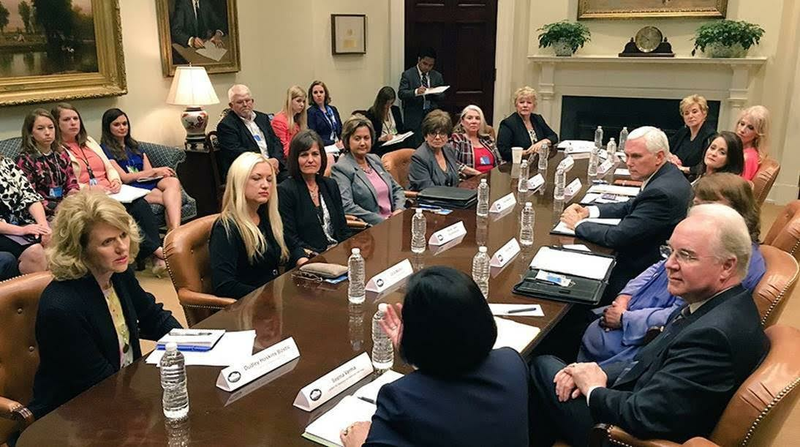 Vice President Pence sat down with women small-business owners to talk about the terrible burden that Obamacare is placing on job creators. It is estimated that more than 11.3 million businesses in America are women-owned businesses, employing nearly 9 million people across this country, with more than $1.6 trillion in revenues. Obamacare is putting a tremendous burden on small businesses across this country with its red tape, skyrocketing premium costs, mandates, and taxes that have been costing jobs and stifling economic growth. Since being elected, the President has been fighting to roll back excessive regulations, to unleash the power of American energy, keep the cost of energy low, and repeal and replace Obamacare. 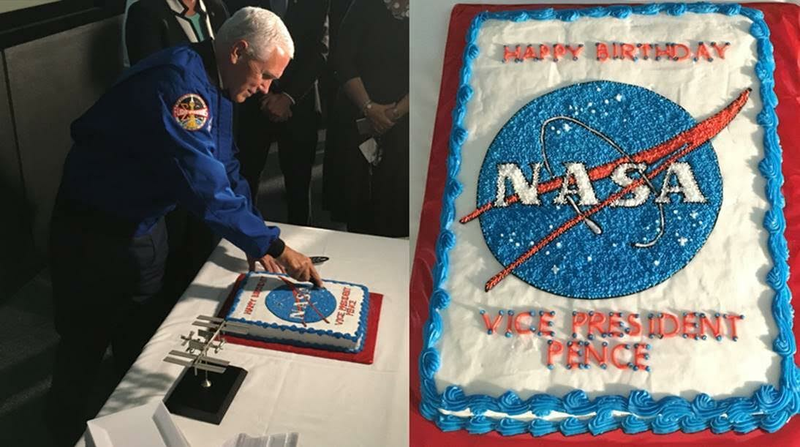 Vice President Pence spent his birthday in Houston touring NASA’s Johnson Space Center. While there, he had the pleasure of congratulating the 12 newest American astronauts. Only 338 Americans have ever held the title of “American astronaut,” while their numbers have been few, their accomplishments have been legion. These 12 men and women have already soared to tremendous heights. They are the elites, the best of us, and they carry the hopes and dreams of the American people on their shoulders to new heights. 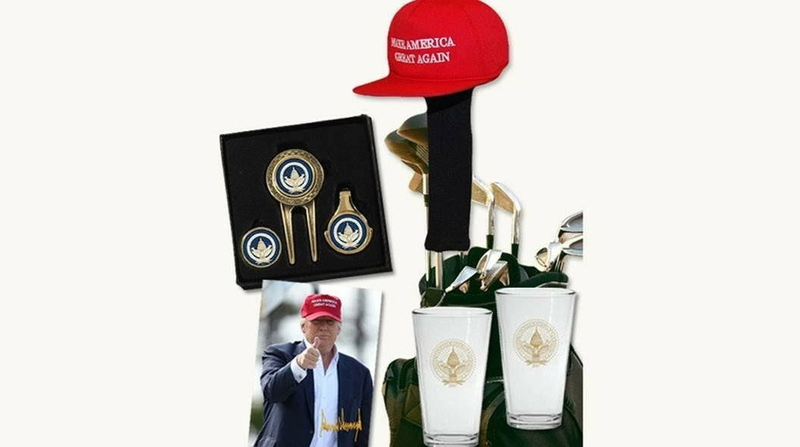 Still Looking For A Father’s Day Gift For Dad? Make Father's Day Great by checking out our new Father Day Bundles! Order now by clicking here and get it before June 18th. President Trump is taking the first important step to unleash the power of the American economy. America is the nation that pioneered air travel, landed on the moon, and we can once again lead the way far into the future. And it is with the strong leadership of President Trump that America's next great chapter awaits.